Don't give up the comfort you love in your chair when you hit the great outdoors - bring it with you! With the extra wide seat and powder coated steel frame on the Alps Outdoorz Birdshot Camo Chair , you won't be sacrificing width or support. Don&apos;t give up the comfort you love in your chair when you hit the great outdoors - bring it with you! With the extra wide seat and powder coated steel frame on the Alps Outdoorz Birdshot Camo Chair , you won&apos;t be sacrificing width or support. 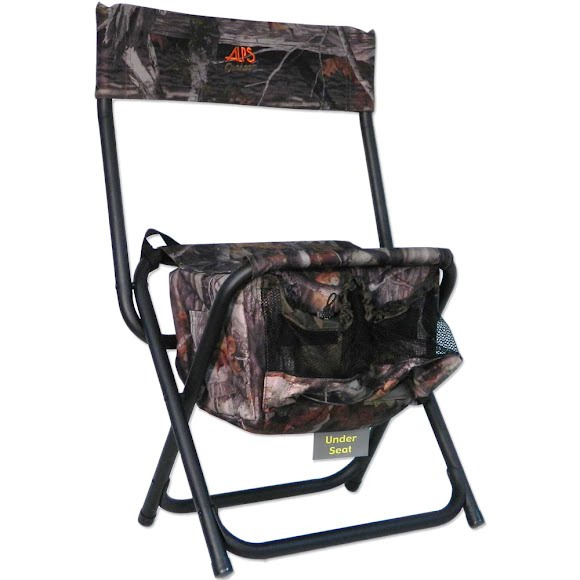 The Birdshot Camo Chair allows you to have a sturdy seat off the ground and a strong back to lean against to maximize the comfort level when you&apos;re outdoors for hours on end. There&apos;s even an insulated cooler bag under the seat. After your day out in the field, the carry strap makes it easy to get your chair back home hassle free.